Hyperion is a relative of Clio and our CX test series. .Its a string reduction colour that is designed to strike automatically during the bead making process to medium amber.To maintain the cleanest colour reset Hyperion until the glass appears clear and reduce very lightly. 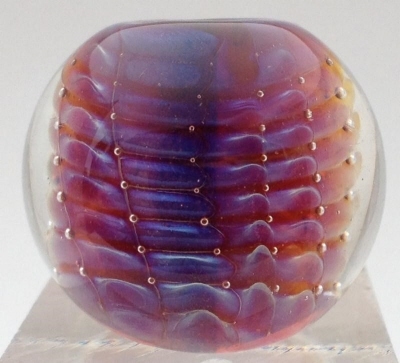 Encasing the light reduction in clear results in a purple pearlescent lustre with a warm,honey coloured undertone.